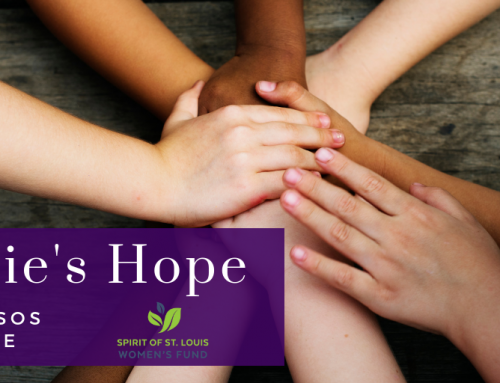 Because giving is at the very heart of Spirit of St. Louis Women’s Fund, we feel it is important to share stories about those who are most impacted by the generosity of our members. 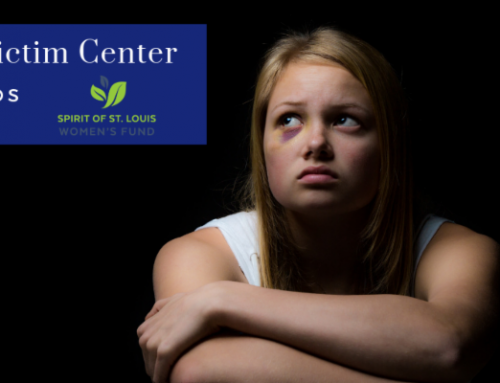 This month, we highlight Crime Victim Center, a 501(c)(3) nonprofit organization that empowers people impacted by crime to move from crisis to resiliency by providing resources, counseling, advocacy and referral for thousands of victims of crime and their families. We hope you are inspired by these real life impact stories. Furnished with only a television and one lonely chair, the small apartment looked vacant. But for months, Sarah and her six children had been living there, sleeping together on the floor. While the apartment may have been empty, it was safe – safer than the violent streets of the neighborhood they had fled. So when her case manager referred her to Home Sweet Home, it felt like an added blessing. With the baby in her arms and the two toddlers at her side, Sarah walked slowly through the warehouse, carefully choosing the basic items they’d lived without for so long – pots and pans, dishes and towels. 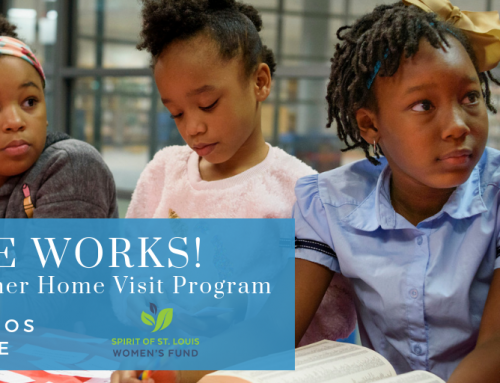 “Some of the kids were at school and the younger ones were really cute, picking out stuff they thought their brothers and sisters were going to like,” said Lisa Long, client services coordinator at Home Sweet Home. Because their small apartment only had two bedrooms, Sarah and her children couldn’t fit enough beds for all of them. Instead, they got one queen, one full-size and one twin bed. While they didn’t have room for a kitchen table, Home Sweet Home gave them a loveseat, chair and coffee table where they could eat together. For them, it was life-changing. 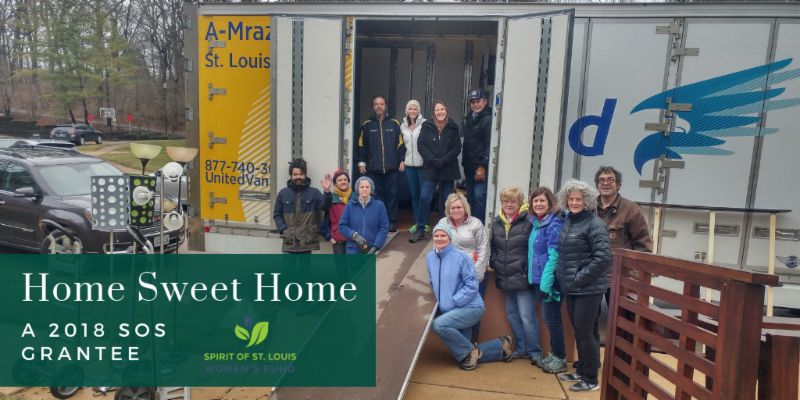 Home Sweet Home (HSH), a 2018 grantee of Spirit of St. Louis Women’s Fund, helps clients from partner organizations transition to their new living situations with much-needed furnishings and basics, providing a sense of ownership and a source of stability at this crucial time. Individuals and families are referred online to HSH by one of their 15 partner organizations, including Lydia’s House and Places for People. The HSH case manager reaches out to the client or agency to schedule an appointment and soon, the family is brought in to shop for the furniture and necessities they need. The clients are given everything they need to furnish their home, and often, restore a sense of stability and dignity. As they walk through the massive warehouse, HSH volunteers put a sticker on each item the client chooses. By the end of the day, HSH movers will deliver all the items to the client’s home. The same movers who deliver the furniture to the clients in the afternoon, spend their mornings picking up donations all over St. Louis city and county. Thanks to funding from SOS, Home Sweet Home now has a lot more space to house all those donations. 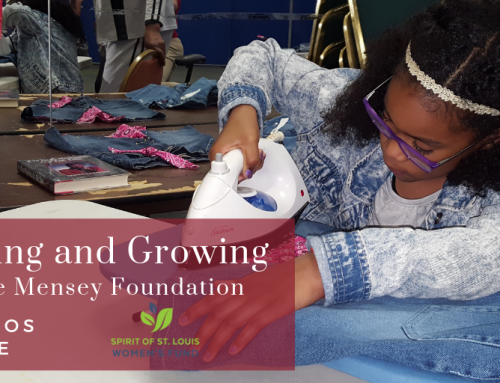 When HSH first became an SOS grantee in 2017, they were located in 3,200 square feet of plain warehouse space at 2653 Locust. They shared a loading dock with other businesses in the building. “We desperately needed additional space and the timing ended up being perfect,” Reznicek said. Thanks in part to funding from SOS, Home Sweet Home moved to a new location at 290 Hanley Industrial Court in Brentwood in September 2018. 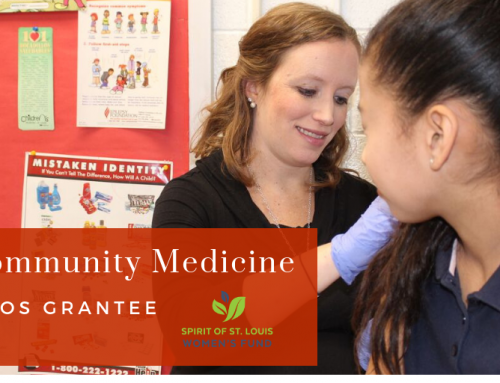 Initially, HSH staff had concerns that the new south St. Louis County location might make it harder for clients to get to them. But it turns out, they needn’t have worried. The new location boasts 10,000 square feet of warehouse space, and another 3,000 square feet of offices, a bathroom, a full kitchen, a board room and a workshop. The workshop was a bonus. The new Brentwood spot also has five loading docks – a feature that will be essential if the nonprofit achieves their goal of adding to their fleet of trucks and movers. “The bigger goal for being in this new space is expanding our fleet of trucks to be able to serve the 56 agencies on our wait list like Epworth, who has an aging out of foster care program for teens who get a place to live but don’t have a bed to sleep in,” Reznicek said. Even with the considerably larger space, HSH is already overflowing with donations. When taking donations, HSH is selective so that the clients only get high quality items. Movers don’t take anything that is dirty, stained or ripped. Volunteers spend countless hours sorting and matching dishes, sheets and cups. “A lot of our mattresses are brand new because they come straight from the furniture stores,” Reznicek said. When clients first see the warehouse neatly filled with everything from dressers and tables to tea cups and appliances, many are overwhelmed. Founded in October 2015, Home Sweet Home provides free furnishings and necessities to roughly 450 families a year. * Some names and details have been changed to protect the identity of clients. Narrative developed for Spirit of St. Louis Women’s Fund by Bethany Prange of 618 Creative. Photos by Bethany Prange and Home Sweet Home.